So today I have a couple toppers from NN3000 to share with you! I'll be showing them on their own and used as a topper. 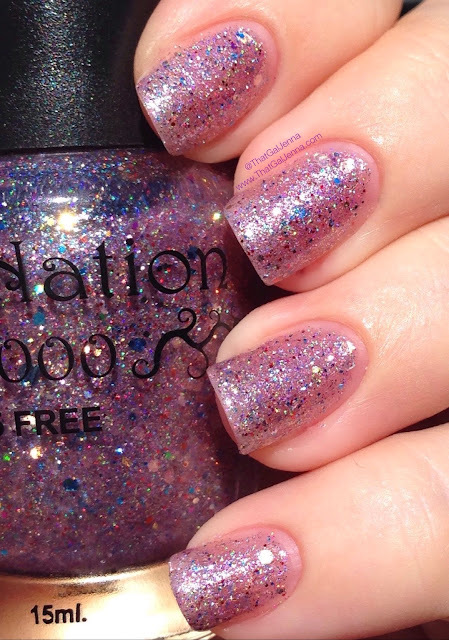 I love toppers from NailNation because most of them can be used alone also. I love a polish that has multiple uses! I will share the info throughout the post so keep an eye out for the bold and italicized bits! PS - Strength in Rainbows is part of the Wipe Out Transphobia collection. More info about that collection can be found on my posts here and here. When used alone both toppers were 3 coats. When used as toppers only 1 coat was used. 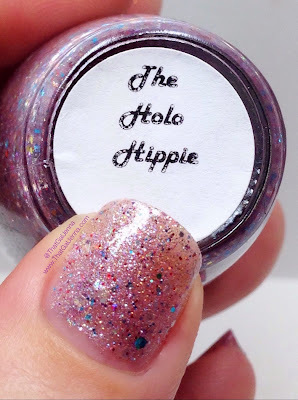 The Holo Hippie - I love this topper so much! 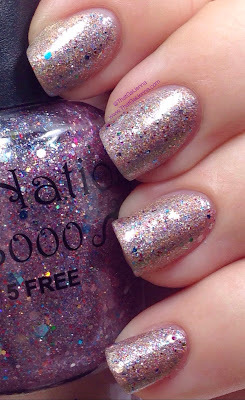 It's one of the most versatile toppers I've used from NN because it is flawless and fabulous on it's own but brings the prettiest shimmer and a slight addition of pink to any polish it's used over. Perfect formula! The Strength in Rainbows - This is a super fun topper! It's best used as a topper and that works for me because it really jazzes up any polish it's used over. 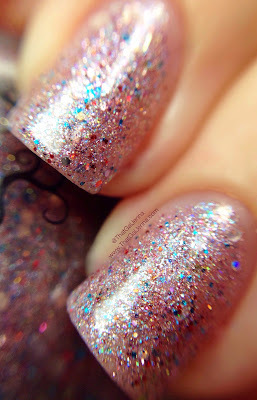 It doesn't alter the color of the base polish at all and you get plenty of shimmery glitters with one easy swipe. Fabulous formula!